The Farmers Guild Network was incubated by FarmsReach from 2013-2014, when we grew the effort from a single Farmers Guild group in Sebastopol to six regional guilds: Sebastopol (North Coast), Yolo, Nevada County, Mendocino, Sonoma Valley and Contra Costa. 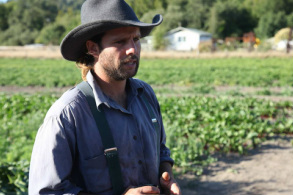 Since then, the Farmers Guild operated as their own nonprofit organization, and then – in 2017 – merged with California Alliance for Family Farmers (CAFF). 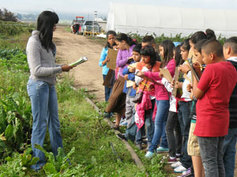 The Farmers Guild are the newest generation of farmers, ranchers, chefs, artisans and sustainable food system advocates. With a passion for feeding our local communities, we come together to share skills, knowledge and a meal after a long day in the field, pasture and milking barn. Founded by farmers for farmers, our community helps to support every scale of healthy food production by collectively striving toward the economic viability of agriculture as well as the social networks necessary to attract, cultivate and sustain a new generation ready to work the land. A Farmers Guild is a monthly gathering of farmers, ranchers and agriculture advocates who come together to socialize, share resources, build lasting relationships, and celebrate our local food communities. Beginning in 2011, a small group of young farmers and ranchers started getting together over dinner and drinks to talk about the daily happenings on their farms. Out of those evenings arose new friendships, opportunities and partnerships that are so often hard to find in rural areas. Not long after those initial gatherings, the group grew to over 100 people, and the meals were moved from the ranch-house kitchen table to the local Grange Hall down the road. Less than a year later, the founders of the first Farmers Guild, with the support of FarmsReach, are now helping farmers from other regions across California start their own Guilds, building a wider network that encourages, inspires and celebrates everything we do. The Farmers Guilds are a casual yet powerful alliance of local farmers and the community, with an ultimate goal to help farmers of all experience levels be more successful. 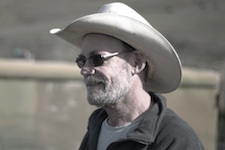 By tying the in-person farmer meetups with the growing online FarmsReach community, each Farmers Guild can now easily connect with others within their region, among Farmers Guilds across the state, and among the broader community of farmers, nonprofit organizations, Extension advisors and service providers. . . All without leaving your farm.